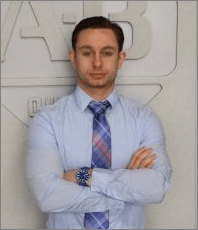 In this interview, I’m presenting you Ben White, Senior Talent Acquisition Specialist. Let’s see a recruiter’s view on resumes. Q: Tell me something about you and your business. How did you start? A: I have spent the last 6 years both as a head hunter and a corporate recruiter. In that time I have filled thousands of roles from engineers and scientists to operational leadership roles. In addition to that I run a blog, www.gettingthejobhq.com where I give advice on interviewing, networking and negotiation. Basically anything and everything you need in order to make a move in your career or how to master the art of interviewing. I will also will be coming out with my first eBook in the next month or so, Getting the Job: a Recruiters Guide to Getting Hired. Q: What are the three most common mistakes applicants make in their resumes? A: For me some of the things I see frequently are poor formatting, having an objective (often different from the job they applied to) and spelling errors. For me all three of these can potentially be deal breakers. Poorly formatted resumes and resumes that contain grammatical errors show a lack of attention to detail, which is never a good thing when you are looking to make a hire. The objective to me is a big error I see frequently and I always advise people to get rid of it. The reason I say get rid of it is that you stand to gain nothing from having it but it can derail your chances to land the job. If I have a posting for a Mechanical Engineer for example and your objective says mechanical engineer as well, it really does nothing for your chances of getting an interview. However if it says design engineer and isn’t a match I might be inclined to pass. Q: How much time do you spend on one resume at first glance after you receive it? A: The first glance is about ten seconds. In that time I determine if they are someone I am passing on or if they are worth further consideration. If in that ten seconds I see things that lead me to believe they could be a potential fit then I invest more time looking at their resume. Q: What is the first thing you look for in a resume? A: The first thing I usually look for is that if it is well put together. Is this resume aesthetically pleasing and does it demonstrates a professional put time into making this look presentable. The next thing I look at is their most recent job title, that is usually a good indicator of whether or not I should be reader further. Q: What are the three main eliminating factors of resumes you review? A: Spelling errors, long gaps in employment without explanation and lack of detail from previous jobs. Q: What are the three main attributes in a resume of a candidate that will be called for an interview? A: I look for experience that matches the role I am currently recruiting for, solid work history and the technical expertise that match requirements. Q: What do you think of graphic and video resumes? A: I think while it could be a way to stand out, most of the time you are better suited to have a well put together standard resume that highlights you as a professional and is submittal to the average ATS. Q: What do you think of a functional resume format? A: I prefer candidates to have a functional section as opposed to doing the formatting as entirely functional. When that is the case I find myself looking for employment history and not giving full attention the functional portion. Q: Can you share up to five quick tips for applicants in order to pass ATS screening? Q: What is your position on photos on resumes? A: Perhaps I am boring but I am against it. I have seen many resumes with pictures on them and never once have I thought to myself, “oh good, this person put their picture on their resume”. Frankly if it doesn’t help you get an interview then it doesn’t belong on your resume. Q: Why is professional resume writing service worth a couple of hundreds of dollars? A: To answer that question I think all you have to do is ask yourself a question back, “what is the value you place on getting the job you want?” For me that is certainly worth an investment of a few hundred dollars. The market is so competitive these days that if you don’t put yourself in the best possible situation to be successful, you won’t be. Q: What is your opinion regarding resume length? A: 1 to 2 pages. I wouldn’t advocate it be any longer than that. I have been recruiting for 6 years and my resume is one page in length. Q: What are the three main points undergraduates or recent graduates need to present in their resume? A: They need to do a really good job of highlighting the skills they have built up from school and perhaps from internships. Coming into the workforce you wont have years and years to draw upon but you can most likely find value in the courses you took. For example if you are trying to get a job as a software engineer and you got a computer engineering degree, you want to make sure you find a way to incorporate the projects you worked on during your schooling as well as the languages you have built up experience with. Q: What do you advice to your clients regarding references? A: Your career is just as much about building relationships as it is about accumulating skills, make sure you don’t burn bridges so that you have contacts down the road. As far as your resume is concern, leave any mention of references. I think outing references available upon request is pointless. If the company requires references they are going to ask for them regardless of what you put on your resume. Q: And what about cover letters? A: I may be in the minority here but unless a job specifically asks for a cover letter I skip it. As a recruiter I hardly ever look at them. Besides if the employer asks for them the one other exception I would say is that if you have a long period of unemployment, or something else that merits explanation it might be a good idea to include a cover letter. You can use the cover letter to explain the gap, why it happened, why it isn’t a concern for your future employer and why you are a good fit for the role etc. Q: What is your advice on making employment gaps less prominent on a resume? A: The one thing I look for is an explanation as to what you did with your time. I always tell people if they are laid off, take courses or volunteer, do something with that time along with looking for a new role. Then when it’s time to explain that gap you have something that adds value. Q: What would you like to see in resumes more often? A: I would say I would like to see more keywords. I work on a lot of technical roles and I love it when a programmer lists all of the languages they have used. It really makes my job easier on the front end. Q: What are the most irrelevant parts of a resume for you? A: This would be a tie between the objective portion and any resume that has “references available upon request” on it. Q: Do you check online presence of a candidate exclusively through links provided on a resume or you dig deeper? A: I always go to LinkedIn but that is as far as I go. Q: In the end, please add a couple of sentences about resumes for our readers. A: One of the things that can get you noticed is quantifiable results. A bullet that says “saved my company 100k by reducing downtime 15% over a 1 year period by implementing a new lean procedure during a Kiazan event” lets the prospective employer see that you have accomplished things and it gives them an idea about what you can do for them. If you liked this interview, subscribe to our newsletter for more similar stories about your resume.